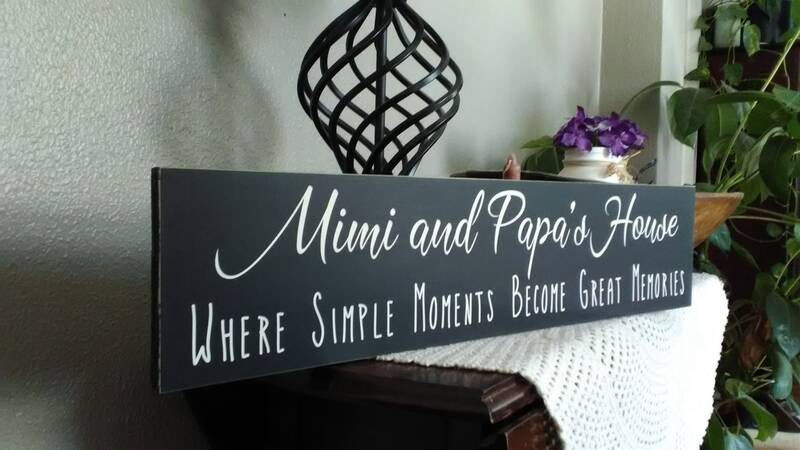 Our personalized Grandma gift is unique to your specifications, we can personalize it for you. 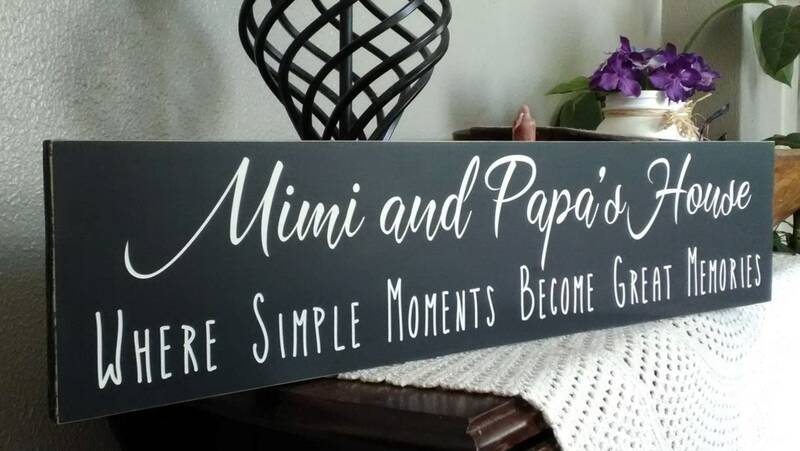 When you personalize your sign, we are able to add your grandparents names, Memaw, GG, Grandma, Grandpa, Nonna, Mimi, Babcia, Aunts' name, Uncles' name, Teacher, or names of children, etc. 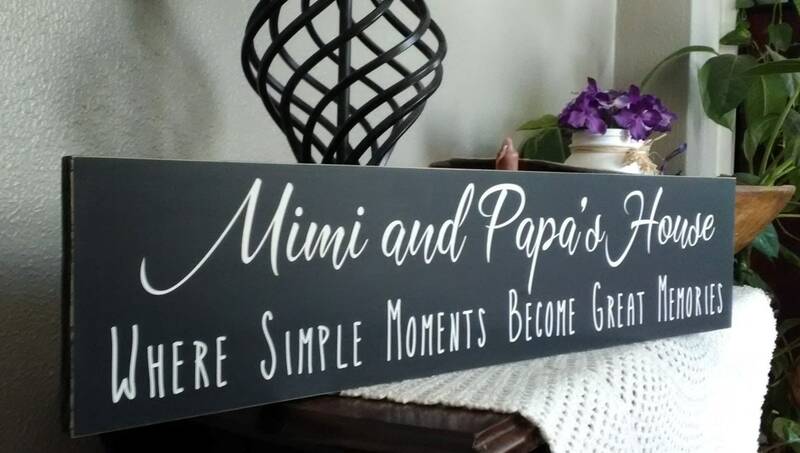 The grandparents sign shown, shows Mimi and Papa, just think of how many letters you can get on that first line at no additional charge. 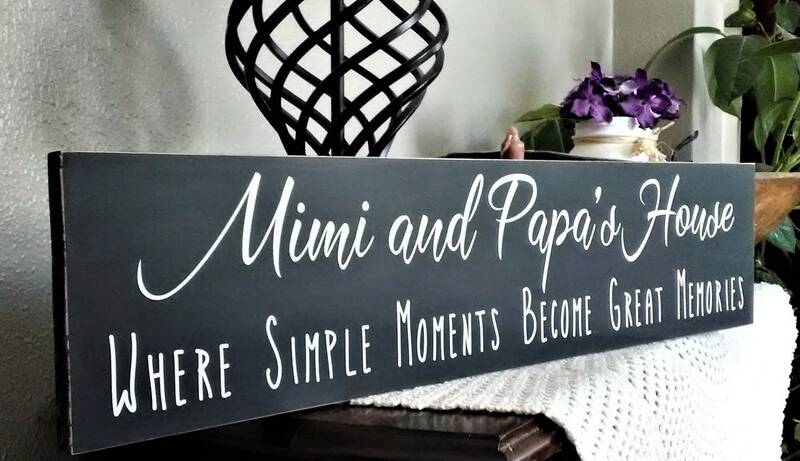 Our grandparents Sign also features a fun quote on the bottom line, and "Where Simple Moments Become Great Memories". I’ve still yet to receive this item! Not only was the shop extremely slow in contacting me about confirming my order but then it showed up saying “Mimi And Dave’d Houde” Make sure to look over things in zoom! I received my sign only to see the S’s looks like D’s. I contacted the seller and they stated I could return it and they would make a new one in a better font. I asked for a return address and I have had no response since! Extremely happy with the plaque....the workmanship is beautiful! Will be ordering from the Oak Ridge shop again for sure!